My studies and my life are connected. Why? We will discover the reason later in this article. Firstly, I will introduce myself. My name is Ibrahim and I come from Niger. My family has lived in Niamey, the capital of Niger for many years. I studied in Niger and then in Burkina-Faso. I was ordained a priest 8 years ago and I have worked in different parishes as a student in philosophy, theology and as a priest. My father is retired and my mother is the headmistress of a school. We are 5 in my family: I have one brother and 3 sisters. My elder sister studied sociology; my elder brother studied political law. My second sister studied medicine and the youngest member of the family is a dressmaker. Niger is a West African country with a land mass of 1 267 000 km2 and a population of 21 546 595 people. Most of the country is made up of desert and in fact, there is a problem of continuing desertification. Sometimes the situation in the desert is terrible and a lot of people die from the extreme situation. For example, a few months ago more than 95 people died in the desert. The reason was that the car in which they were traveling broke down. The driver wanted to return to where they had come from but before he was able to return they ran out of water and all his passengers died. There were 52 children, 32 women, and 17 men. It was saddening. In Niger, the poverty rate is on the increase. The population of Niger is very young and there are not enough jobs for all, so many people are without a job. On the other hand, there are good relations between Muslims and Christians. But this could be affected by the situation in Nigeria; where there is a terrorist group called ‘‘Boko Haram’’ whose name means in Hausa ‘‘against modernity’’. Therefore, we are in an uncomfortable situation. Even though, the situation in my country is not very optimistic. People still have their dreams, passions, and hobbies. Many members of my father’s family are Moslem; my father is the only Christian in the family. It is very interesting to see how we live together. Among us, we are tolerant of each other which is remarkable because it is uncommon to see people of different religions living in harmony. For this reason, accepting people for what they really are and not because we want to perceive them in a certain way is an example we can give to others. So far our relationships have influenced me a lot and I have been marked for life by this experience of justice, reconciliation, and peace. For example, we have always had various celebrations together: weddings, baptisms, Christmas, Easter, Ramadan, Tabaski and so on. Thus, at heart of our relationship is love, respect, fraternity, even in difficult moments. It is not a problem for any of us to go and pray in a church or in a mosque when there is an event like those mentioned above. In fact, one of my uncles who is a Muslim gave us a sheep as a present to celebrate Tabaski. There is a saying which is, ‘‘habit can become second nature’’. We have to learn how to struggle every day and so struggle can become our habit. Hence, i like saying life is a struggle and we have to struggle to live and only those who struggle can live. Life is like this. In our daily routine, we have to look at what is the most important thing for our lives because in life different people have different goals. We have to work hard to achieve our goals because life is getting more and more difficult. We cannot live alone; life without others is not possible. We have to work together even though working and living together is not easy though: ‘‘la langue et les dents appelées à cohabiter tout une vie se querellent’’. Many of the difficulties that we come across in our family between Muslims and Christians are especially the problems of misunderstanding. According to Muslims, we (Christians) do not pray like them 5 times a day, we pray only once a week, on Sunday, which is not normal for them. We do not do the fast. We do not respect forbidden food. For example, we eat pig meat; this is a sin for them. I think the problem is that inadequate knowledge of other religions could lead to clashes and misunderstanding. To gain a better understanding of God is very difficult. But we always try by language to define the meaning of Revelation, the way of the religion. To speak about God is not easy but it is not impossible among believers. I am a graduate of Arabic and Islam studies. Although understanding Islam could be very difficult, however, it is an important task for the church. I realize that learning languages like English is very important because it is not possible to start a dialogue with others (Muslims and Christians) if you do not know several languages. So the acquisition of different languages helps a lot. It is one of the keys of understanding others. My favorite hobbies are martial arts, singing, playing the guitar and drums, listening to music and running. They help me relax and feel good. I am crazy about all of these things but singing is what I like the best, it is my favorite. In the context of Christian-Muslim dialogue, to speak of the mission of the Church requires a prior return to scriptural sources. It will be necessary to release essentially the bases on which is based the Christian-Islamic dialogue which is a mission of the Church. Thus we want to evoke in a clear and concise way the bases of the dialogue according to the Scripture. From the outset, we can affirm that God is the One who has always had the initiative to enter into dialogue with human beings. Witness the whole history of salvation. The Bible is a beautiful story of love and dialogue between God and men. Since the creation, the great concern of God is to communicate himself to men, to give himself personally in order to establish an alliance. From Adam to the Prophets, God reveals himself as a Being in dialogue, constantly in relationship with men. God enters into dialogue with man created in his image and likeness (Gn 1:27). God is definitely committed to the salvation of all mankind. (Gn 3,15). All the great monotheistic religions claim he is the Father of believers. With Moses, the Hebrews became more aware of their status as a people of God – God entered into conversation with Moses in the story of the burning bush. Jesus Christ is The best one who enters into dialogue with us … His loyalty to his people, his multiple encounters with the excluded are a testimony. God had time for us to make himself one of us. He got so close to us to talk to us better, to dialogue to us better, to discuss to us better, to converse to us better. The whole life of Christ has been dotted with meetings and dialogues with people of all social classes without any discrimination. II.4. Theology of dialogue according to some of the Fathers of the Church. Taking the example of Saint Justin (died in 165) who was a late convert to Christianity, maintains that there is in every man a trace and a seed of the Word. It was he who created the first bridge between Paene’s Greek philosophy and Christianity. Clement of Alexandria (died in 215), of paternal origin, it remains marked by the fact that the philosophy is an effective means for the reception of the definitive light with the Christ. St. Irenaeus (died in 202), recaptures certain elements of St. Justin. For him, Christianity is as old as humanity. St. Augustine (died in 430), while attacking heresies and all philosophical deviations and ideologies, recognizes that there is the mysterious presence of Christ in every man. Speaking of pioneers for interreligious dialogue, let us mention the figure of Pope Paul VI. This is the first time, to see in the documents of the magisterium, the term dialogue. The Pope makes use of it in his encyclical Ecclesiam Suam of August 6, 1964. He exposes the charter of dialogue in numbers 73 to 79. The Church regards with esteem also the Moslems. They adore the one God, living and subsisting in Himself; merciful and all-powerful, the Creator of heaven and earth,(5) who has spoken to men; they take pains to submit wholeheartedly to even His inscrutable decrees, just as Abraham, with whom the faith of Islam takes pleasure in linking itself, submitted to God. Though they do not acknowledge Jesus as God, they revere Him as a prophet. They also honor Mary, His virgin Mother; at times they even call on her with devotion. In addition, they await the day of judgment when God will render their deserts to all those who have been raised up from the dead. Finally, they value the moral life and worship God especially through prayer, almsgiving, and fasting. The dialogue of life is characterized by the fact that people strive to live together in a spirit of good neighborliness, sharing their joys, their pains as well as their human problems and concerns. It is the dialogue in which Christians and believers of other religions work together for the integral development of man. 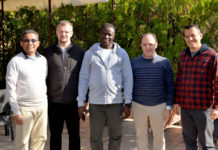 Theological exchange dialogue in which scholars seek to deepen the understanding of the religious legacies represented and to appreciate the spiritual values of each. It is the dialogue in which people rooted and convinced of their own religious traditions share their spiritual riches. Very often, people have prejudices about interreligious dialogue. There are some who think it is a waste of time. Still, others believe that the Church negotiates with other faiths. While still, some support the fact that it is always the Church that takes the first step. I would simply like to reaffirm here that it is the missionary nature of the Church to go to everyone without distinction. It is safe to say that the crux of the problem in the Church’s relations with other religious denominations, especially Muslims, is at the theological level, not to say they are not doctrinal issues. However, I would like to attest that there are efforts that are provided by both sides even from the theological point of view. It is this experience that I am going to share with you. I want to give a testimony about an experience I had. In one of the parishes where I worked for 3 years, we had a committee for interreligious dialogue. The people who made up this committee were Muslims and Christians leaders. Working with this committee was a good experience. It involved 7 localities throughout the country. 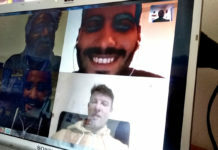 Wherever we went we did 3 days of talks about the sources of dialogue in the Koran and in the Islamic traditions on the one hand, and the sources of dialogue in the Bible and in the Christian tradition on the other hand. In doing this we were trying to raise awareness about each others’ traditions. To talk about Jesus Christ as the Son of God with Muslims is not easy. To talk about the meaning of the cross or the death of Jesus is also not easy. However, we did it and we were able to talk about so many themes that were not easy to discuss. I am convinced that it is possible to be together, to discuss together, and to know the religion of our brothers and sisters. It is very important to enter into dialogue with others, even when it can be very difficult. So the difficulty is a reality and we cannot avoid it. Unfortunately, sometimes, the dialogue can be very hard or even impossible. In this case, the dialogue becomes a ‘‘dialogue’’ of weapons, a ‘‘dialogue’’ of war and a ‘‘dialogue’’ of violence. The consequence of this kind of ‘‘dialogue’’ is death because of the stupidity and silliness of humankind. In the middle of this situation, there is a dialogue of prayer. This kind of dialogue can bring us the Hope for walking. 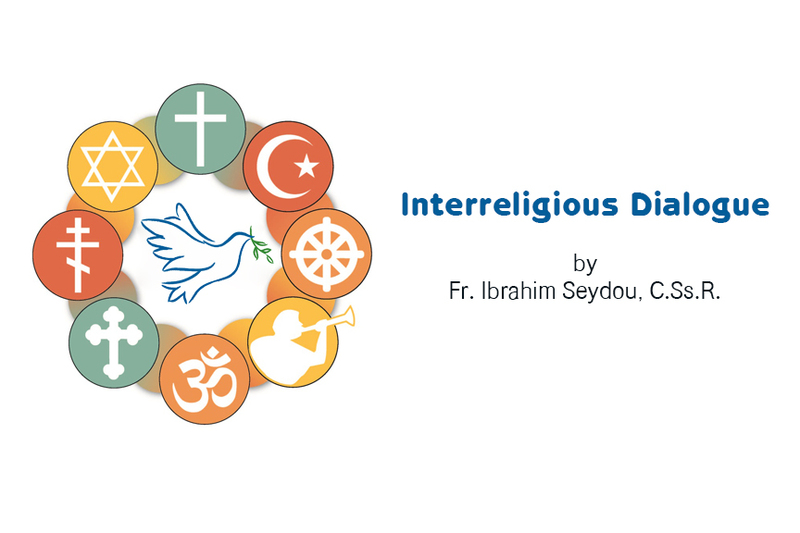 Practicing interreligious dialogue is not only a theory but in its heart, there must be the practice of dialogue. It is also possible to use different ways of teaching to know how to enter into dialogue. The problem is to practice and not only to speak. Today, the world wants more doers than talkers, witnesses than speakers. But the fact is that above all it is a process of faith. So, first, we have to believe, then to work and finally to pray! There were so many believers who believe in this kind of dialogue, the likes of Saint John Paul II, Pope Benedictus the XVI, Pope Francis, and so on. On 27 the October 1986, a meeting was called by Pope John Paul II with people representing 12 different religions who shared the same viewpoint: to pray for peace throughout the world. The chosen venue for this meeting was not Rome but Assisi, a place associated with Saint Francis whom we know lived a simple life, was a man of peace and a pioneer of dialogue between believers. He went to Egypt to meet Sultan Malek al-Kamil and received his permission to move freely in Muslims territory. He asked the brothers who lived in Muslim countries to be steadfast, to be humble, to avoid conflict, disputes, and not to judge others rashly. The figure of Francis set the tone for the meeting. One wonders whether it was the desire of Pope John Paul II to make St Francis patron of interreligious dialogue. It would be good! The fact remains that the reasons outlined above were certainly the reasons this meeting was held in Assisi. This prophetic intuition is a new catch for interreligious dialogue. Hence, we have to struggle together to achieve Justice, Reconciliation, and Peace in our world. On Sunday 8th June 2014 Pope Francis held a prayer meeting in the Vatican gardens between Shimon Peres (the president of Israel) and Mahmud Abbas (the president of Palestine). The patriarch of Constantinople: Bartolommeo was also present. 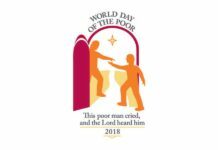 The chosen day was very symbolic in that the Catholic Church was celebrating the feast of Pentecost, the day on which the Holy Spirit descended on the Church. The Holy Spirit is this Power which we cannot see. Mais s’il est vrai, comme l’a si bien affirmé Antoine de Saint Exupéry dans son ouvrage Le Petit Prince que : ‘‘ l’essentiel est invisible aux yeux, et qu’on ne voit bien qu’avec les yeux du cœur’’, we have to look in the heart of our hearts. Well then, when looking in the heart of our heart we have to pray! Our help is in the hands of God! But the first work that each of us has to do, must be in the heart of our heart. Deep in my heart, I pray for those who are tired and exhausted because of the difficult and hard life. God speaks in our hearts: you have to persevere! Deep in my heart, I pray for those who have no hope. But the flames of the hope are shining deep in our hearts. And they will never be extinguished. Deep in my heart, I pray for those places where living is not possible because there is no Justice, no Reconciliation, and no Peace. But the smile of an infant who is just born can enlighten our hearts with love. Deep in my heart, I pray for those who speak only the language of war and violence. This kind of language is the mother of all poverty and misery. But our conscience is for truth! Deep in my heart, I pray for all the religions. I pray for Buddhists, Hindus, Jews, African Traditional religions practitioners, Muslim, Christians…Because we are human beings, before all else. Deep in my heart, I pray in silence because I want to hear your voice in the heart of my heart! Deep in my heart, I keep quiet because you have something to tell me in the heart of my heart! Deep in my heart, I am with you and you are with me in the heart of my heart! Deep in my heart oh God, you are there. I want to meet you always in the heart of my heart! O, God! Deep in my heart, I pray especially for… I am sure that God speaks in our heart. Can we listen to him in the heart of our hearts? Atlas des populations et pays du monde, statisques 2018. Bible de Jérusalem, les éditions du Cerf, 1996. Dialogue in truth and Charity, Pastoral Orientations for Interreligious Dialogue, Libreria Editrice Vaticana, 2014. Ecclesiam Suam August 6, 1964. Hamman A., Guide pratique des Pères de l’Eglise, Desclée de Brouwer 1967. La documentation catholique, 21 Février 1993, n°2066, Assise, La prière des croyants pour la paix. Lumen Gentium, November 21, 1964. Nostra aetate, October 15, 1965. Cf. Atlas, populations et pays du monde. Statisques 2018. Cf. Pontifical Council for Interreligious Dialogue, Dialogue in Truth and Charity, Pastoral Orientations for Interreligious Dialogue, Libreria Editrice Vaticana, 2014, Pages 26, 27, 28, 29, 30. Cf. la documentation catholique, 21 Février 1993, n°2066, Assise, La prière des croyants pour la paix, Pages 166, 167.